May has been a good month for me as an aspiring novelist! I have new business cards to help promote myself. And (drum roll here) I can finally say I am done editing my mystery novel, and I am so very pleased with the outcome. I’ve even come up with a new title that fits it really well… “Indecent Liberty.” Even if it changes prior to publication, I’m happy with the progress. Thanks to Russell Gayer and Robin C. Stuttle at Tyson Digital Print Services for the great job, quick service and good price on the cards! Also, thanks to my husband Lloyd Ericson for all the encouragement, and for putting up with me and my writer life. Now time to finish another short story and move on to the next novel. I already have a plot churning in my head. 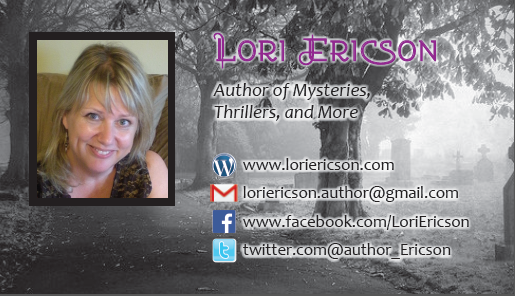 This entry was posted in Mystery/Thriller Writing and tagged business cards, happy, husband, Indecent Liberty, mystery, novel, publication, Russell Gayer, Tyson Digital Print Services, writing and editing by Lori Ericson. Bookmark the permalink.